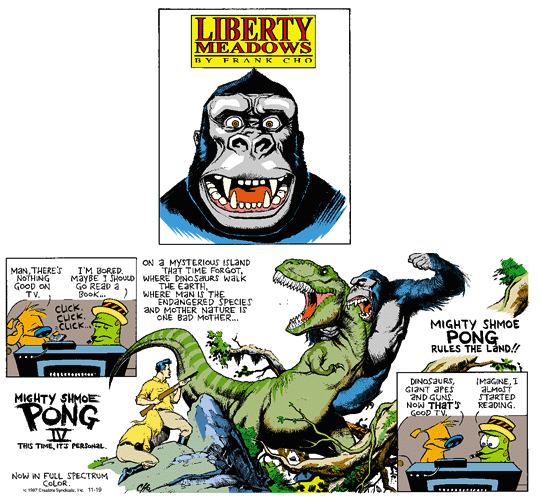 Frank Cho’s old syndicate posted this old Liberty Meadows strip over the weekend. We always like to see Frank draw big monkeys. Blogger (the google.com site where this blog is hosted) and its affiliated software has been giving me even more headaches than usual so posting may be light until they sort things out. I’ll be looking at other options for hosting this site and how I run it in the new year. Stay tuned for updates.